Best selling author Marc Ostrofsky, recently appeared on The View, and we’re excited to have him as the opening keynote on Sunday, August 21, 2011 at Affiliate Summit East 2011. Recently, Jim Kukral sat down with Marc to talk about his upcoming keynote. Listen to Marc Ostrofsky and Jim Kukral on GeekCast.fm. You’ve seen him on ABC’s 20/20, The Today Show, Wall Street Journal, NY Times, USA Today and 1000 other media outlets. He is in the Guinness Book of World Records for selling the domain name Business.com for $7.5 Million. He founded the PrePaid Phone Card Industry, 5 Magazines and 12 Trade Shows – Sold for over $50 Million. He raised $60 Million for his last business with partner w/ Howard Schultz, founder of Starbucks. He owns Internet Firms: Blinds.com, CuffLinks.com, SummerCamps.com, eTickets.com and Get Rich Click.com. He owns domain names MutualFunds.com, Consulting.com, Photographer.com, Bachelor.com, BeautyProducts.com, TechToys.com and 300+ others. His book, Get Rich Click, has testimonials from Steve Wozniak, Co-founder of Apple, Steven Covey, Jack Canfield, Jeffrey Gitomer, Keith Ferrazzi, Robert Allen, Les Brown and other Bestselling authors and experts. Marc is an Entrepreneur, Venture Capitalist, Author, Speaker Coach and Father of 5 teenage daughters. More details on Affiliate Summit East 2011 at http://www.affiliatesummit.com. I’ve posted the companies that have registered so far to attend Affiliate Summit East 2011 on the Affiliate Summit homepage. If your company name was spelled incorrectly during the registration process, please contact registration (at) affiliatesummit.com to make a correction. Wil Reynolds has been routinely rated as the best speaker for years by Affiliate Summit attendees, and we’re excited to have him keynote on Tuesday, August 23, 2011 at Affiliate Summit East 2011. Recently, Jim Kukral sat down with Wil to talk about his upcoming keynote. Wil explains why he is such an engaging speaker, and shares some secret previews of what he’ll be speaking about on stage this August. Listen to Wil Reynolds and Jim Kukral on GeekCast.fm. There are currently 42 folks involved in the challenge, and the top ten runners have already tallied 581 miles. Overall, there have been 870 miles run by all of the participants, so it’s $870 raised so far. I am at #3 right now (see my dailymile profile) with 60 miles – catch me if you can. Here are the top ten runners, as of June 15, 2011. We’ve been running a series of webinars leading up to Affiliate Summit East 2011, and so far we’ve been using GoToWebinar. But I started hearing about FB Webinars over the past couple weeks, where webinars can be broadcast right in Facebook. 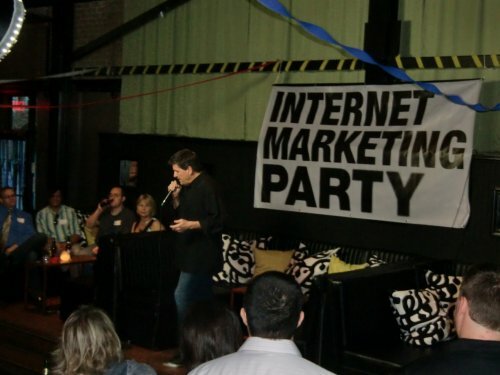 This past Tuesday, Scott Boulch, who created FB Webinars, was speaking at the Internet Marketing Party meetup in Austin, and I got to chat with him about what he was doing. Being in Facebook, where virtually everybody has an account already, makes a lot of sense when trying to reach an audience. And the monthly cost comes to the same as I was paying for GoToWebinar. I love the idea of FB Webinars, and plan to bring the future Affiliate Summit webinars to Facebook. 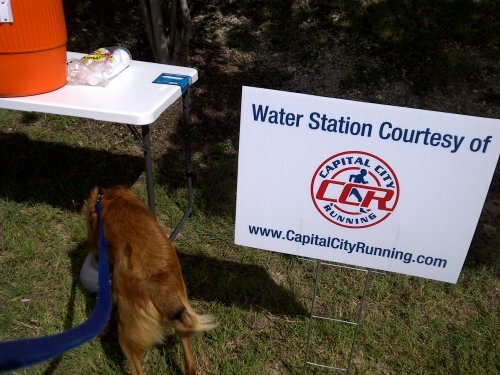 I was on a hot walk with my dog recently, and we came upon an oasis… a water station set up in our neighborhood by Capital City Running, a local running store I hadn’t yet visited. After Mattingly and I got refreshed from the water (they had a dog bowl and cups), it got me thinking about the cleverness of this water station in an area with tons of runners and walkers. It brought to mind one of the six “Weapons of Influence” from a favorite business book of mine, Influence: The Psychology of Persuasion by Robert Cialdini. And that was reciprocity, where people tend to return a favor. Cialdini cites an example where Ethiopia provided thousands of dollars in humanitarian aid to Mexico after the 1985 earthquake, even though Ethiopia was suffering from a crippling famine and civil war at the time. The thing was that Ethiopia was reciprocating for the diplomatic support Mexico provided when Italy invaded Ethiopia in 1935. Another example is the good cop/bad cop strategy. 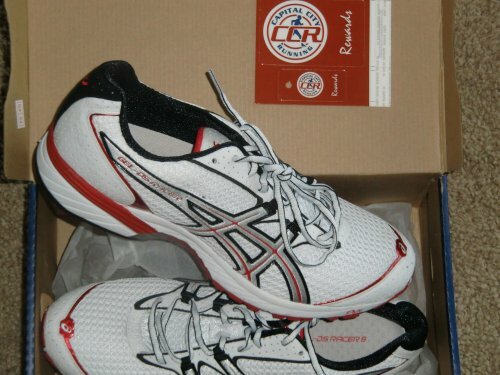 So anyway, I appreciated Capital City Running for providing some people and dog water at just the right time, and headed to their store to get some Asics DS Racer 8 shoes. Check out Capital City Running at http://www.capitalcityrunning.com and visit them if you’re in Austin, TX. Affiliate tracking software company HasOffers has declared that online advertisers are working with a broken model. 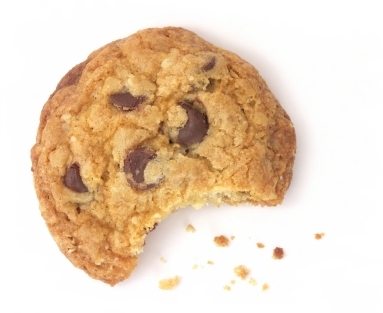 And HasOffers just announced a new cookie-less technology, called Adtribution, that enables advertisers to see the influence of multiple affiliate and publisher relationships on a single user. They will be accepting a small group of advertisers, networks, and affiliates to the Adtribution Beta. Apply for access to the Adtribution Beta at adtribution.com. There will be a bootcamp on local affiliate marketing and lead generation, presented by Jeremy “ShoeMoney” Schoemaker, during Affiliate Summit East 2011. The Local Affiliate Lead Generation Bootcamp is taking place on Monday, August 22nd from 9:00am to 5:00pm at the Hilton New York in the Mercury Ballroom. Registration for this event is not included in the Affiliate Summit pass and requires a separate registration for $295. Net proceeds will be donated to support Team Affiliate Marketers Give Back for the Avon Walk for Breast Cancer. Register now for the Local Affiliate Lead Generation Bootcamp. Affiliate Summit ran a free webinar on launching a successful affiliate program, and it’s now available to watch on demand for free. Watch this webinar if want to learn the secrets that many “super affiliates” use to qualify whether or not they will join an affiliate program or not from Deborah Carney. Deborah shows us everything we need to have in place in order to set up a powerful and successful affiliate marketing program for your business. Deborah Carney (also known online by the username Loxly) is the well known host of the popular ABC series of podcasts. As the host of Merchant ABCs, she has interviewed many industry leaders, enabling her to bring a unique perspective to merchant programs. As a successful affiliate and a successful Outsourced Program Manager, past in-house affiliate manager and consultant for many networks and companies, Deborah’s experiences have brought her to a point to start sharing that information with new merchants via Merchant ABCs podcasts and training courses. Deborah is also the Administrator of the Affiliate Summit Networking forum, which is a great place to network between Affiliate Summit events. Request to be our guest or submit your opinions about affiliate marketing by visiting MerchantABCs.com and clicking the appropriate form. Deborah’s other podcasts are AffiliateABCs.com, BloggingABCs.com, and CreativeMarketingABCs.com, which can also be found on Geekcast.fm.